You know how I love inquiry-based learning. I've written about here and here and here's a video, too. 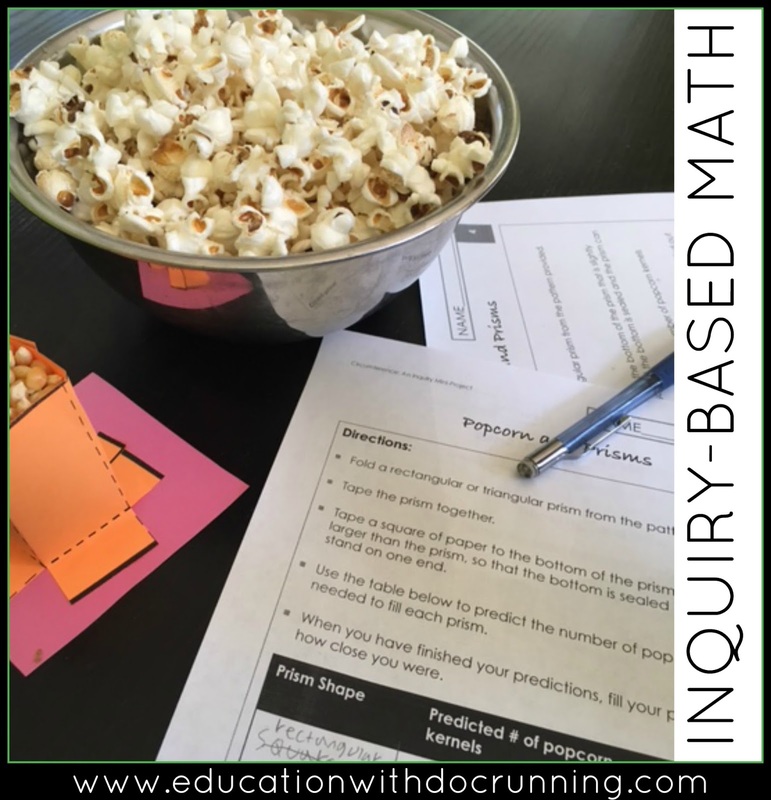 The inquiry-based project we did below was a big hit with students AND beneficial in developing a deep comprehension of what volume is. 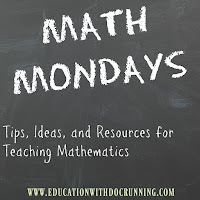 Read the post, and then grab the link at the bottom for your FREE copy of the entire activity. Start with some three-dimensional shapes. You can use cones, rectangular prisms, triangular prisms...really, anything. Rectangular prisms are the easiest and best for students who are not that familiar with the concept of volume. Part 2: Students measure volume with unpopped kernels. First I gave each group of students the pattern for prisms and a BIG pile of unpopped kernels. Students made estimations and then tested their estimates for the volume of the prisms. Groups used different strategies estimating how many rows or columns each prism would need. Part 2: Students measure volume with popped kernels. Part 3: Students formalize the concept of volume. Students then wrote about, discussed and formalized their understanding of the concept of volume. 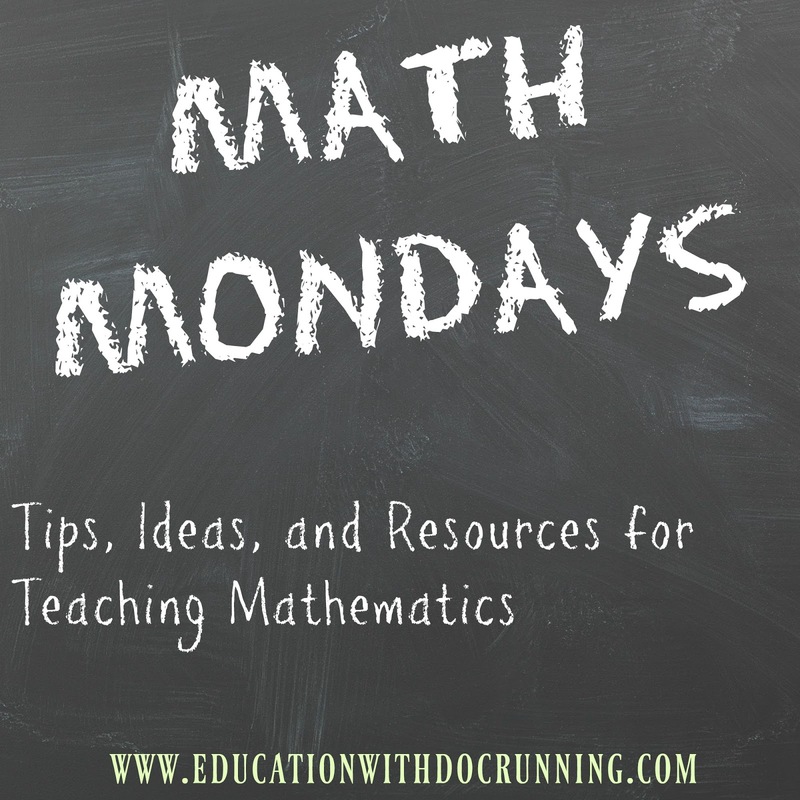 We followed this activity with more a more formalized definition of introduction of volume and the formula for various three-dimensional shapes. Ready to try it yourself? Download the freebie here.